Standards Tracker streamlines research time by enabling you to quickly organize standard-setting activity and guidance issued by the SEC, FASB, AICPA, COSO, PCAOB, GASB, and IASB into one chart, and helps you determine whether that activity has potential impact on your upcoming public filings and other reporting obligations. 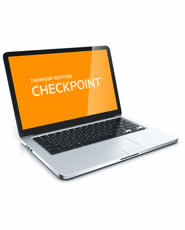 Be confident that you have not overlooked any changes since the last reporting period, by linking directly to relevant editorial content on Checkpoint created by respected legal and accounting professionals. In addition, chart results can be sorted, printed, exported into multiple formats, emailed, and saved to a Checkpoint folder.